Welcome to My Disney Fan Site Based on a Walt Disney World Vacation I Took with my Friend's And other Walt Disney World Vacations i Took , plus Official Disney Web Sites, and Disney Fan Sites , Including A Featured Disney Fan Site Of the Moment , Chosen by Me , Disney Movies and More. 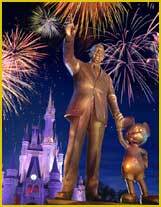 Purchase Disney Event tickets today! Reserve your Little Mermaid Tickets, Finding Nemo On Ice tickets, High School Musical tickets, tickets to the Lion King and Playhouse Disney Live tickets. Don�t forget to purchase other tickets � including Hannah Montana Concert tickets! Disney stars Aly & AJ cover one of Britain's biggest hits, "Black Horse & The Cherry Tree." � How'd they do? MouseMooners is dedicated to providing information about Disney Weddings, Disney Honeymoons, Romantic Ideas at Disney, Proposing at Disney, and Getting Engaged at Disney. Desktop themes, wallpapers, screen savers and more; all featuring Disney's lovable characters and movies. In Walt's Footsteps a Program created by Two Disney Fans who Visited Disneyland in California,Created a pin that reads (wwwd)"What Would Walt Do?They also Have a Website, Not an official Disney Site and Pin Is not a Disney Creation,although a Great Idea,The Idea behind these pins are to Give them to Cast Members, who exemplify Walts Mission of treating Guests like Visitors to his home,and you can also recognize cast members,without purchacing these pins to enter that website,click on the link below. recognizing outstanding Disney Cast Members and the memories they make. In His New AughtoBiography , artist Peter Ellenshaw reminisces about how he went from an underschooled moter mechanic in England to Academy Award - winning special visial effects and matte artist for Disney.The Book Ellenshaw Under Glass,is the story of an artist's life in pictures,an intimate,witty remembrance of how such films as 20,000 Leagues under the Sea and Mary Poppins were made , and of the people who made them.From Camphor Tree Publishers , the standerd edition ($65) features Ellenshaw's famed matte painting from the opening titles of Mary Poppins; a pricier slipcased version ($150) adds a glass cover featuring the artist , paitbrushes in hand , so that he appeares to be sitting on mary Poppins's cloud , with all of london at his feet. The Disney Treasures ,a interactive book about Disney history;it puts copy's of these to - die - for collectibles and many more in the palm of your hand , Schedualed for release in September by Disney Editions , is a hiply designed , 64 - page history of Walt Disney and his company compiled and written by Archives manager Robert Tieman.The Disney Treasures ($60) also comes with a cd of rarely heard audio of Walt and vintage Disney commercials. Michael Broggie Gives talks on Disney History,I Found it Very Interesting to read in the Disney Magazine,that when he asks his audiance,"is Walt Disney a real Person? 'and Usually,specially if the audience is made up of people 30 and younger as many as 80 percent think Walt Disney is a Fictional Character,Michael Broggie Grew up Knowing Walt ,and decided to write a Book to Put Walt Disney's life Story in simple terms That a Child could understand,Michael Broggies Father was one of the Disney Imagineers whom Walt Selected to Develope Disneyland.A Second Story is Written for Adults,runs through the Book and goes into more Depth on Walt's Life and Work. The Cartoon Music Book,a new collection of essays and interviews from A Cappella Books,Starting with Steamboat Willie,the first animated film with sound. The Imagineering Way by Disney Editions , A Collection of essays by Imagineers , of all kinds about how they unlock their Imaginations and solve Problems creatively , scheduled for publication June 30th. Click on the Banner Above "Lilo & Stitch" offers a rocking soundtrack fit for a "King"! Included are five hit Elvis songs; a fiery rendition of "Burning Love, newly recorded by Grammy Award-nominated country singer Wynonna; and the A*Teens performing "Can't Help Falling in Love." Adding to the fun and fantasy are two "totally tidal" Hawaiian themed songs. 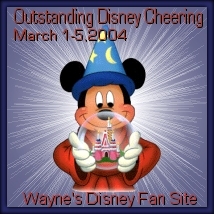 Wayne's Disney Fan Site Please Link Me! Here are my banners, please pick one and link it back to http://www.angelfire.com/ma4/disney01747/ or just leave it in text link. Thanks To Wendy From Web Site For Use Of The Disney Banners , Thanks Again Wendy , Check Out More Of Her Disney Banners , By Clicking On Her Banner Wendy's Wonderland Above. I went to Disney World September of 2001,it was a trip Planned with my Best Friend and his wife,it was the Last week of september 2001,i arived at 11:57pm on the 22nd of september,i stayed at the Disney Music Allstar Resort,and my Best friend and his wife stayed at the Clarion Main gate,they arived on the 25th through the 28th i was there from the 22nd through the 29th. 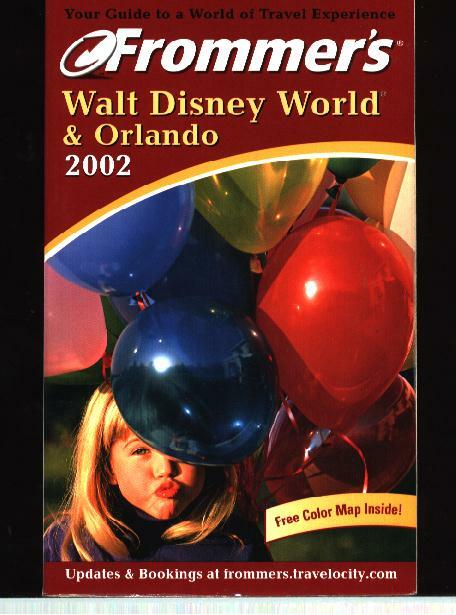 The Book i found Best for Research was frommers Walt Disney World & Orlando 2002 , the picture of the book is below. one of the things i did was i Joined the Disney Club, Unfortunatly it Closed The End Of 2003, and no longer accepting membership applications for The Disney Club,I Renewed My Membership with Them,before this News. I Booked My Hotel The Disney All star Music Resort, Through the Walt Disney Travel Company 1-800-828-0228 , only my hotel though them,at the time using my Disney Club Card, and for more Disney Info I Used this link below. My Friends Made there Reservation at The Clarion Main Gate , that is one of the Disney Good Neighbor Hotels , My Friends were given wrong info from Someone there,that didnt sound right to me,I did check into it for them,and they found out the The Infomation they got was wrong ,The info given from the Clarion was as far as tickets and times entering the parks,alls a Disney Good neighbor Hotel is That , these can be booked by both Central Reservations Office , and Walt Disney Travel Company. All Good Neighbor bookings come as a package only! with special Length of Stay Park Hopper/Park Hopper Plus passes NOT Ultimate Park Hoppers. There are a few selected Good Neighbor hotels that can only be booked by Walt Disney Travel Company, but most are booked in Central Reservations Office as well. The Downtown Disney Resort Area Hotels can be booked in Central Reservations Office as room-only or Resort Magic packages,over all My Friends Were Happy with There Hotel. My Friends Decided on not Getting the Park Hopper Tickets after all,They Could Have got Park Hopper/Park Hopper Plus passes NOT Ultimate Park Hoppers,Since i was at a Disney Hotel , The All Star Music Resort , I Was able to get the Ultimate Park Hopper,and Could Enter a Park 1 hour Earlier,They Could Not,It Worked out since i was there longer than My Friends,and on the 25th 26th 27th and 28th of september of 2001 , i spent the entire day in the park,with my Friends , rather than Park Hopping. On the 23rd , I Had Two Days Alone,I started out at the Magic Kingdom , then went to Epcot Center at night,On the 24th i went to Disney's mgm studios, and then Epcot center at night,on the 25th My Best Friend and his wife were ariving around 1:00pm or 2:00pm, i went to the Magic Kingdom and Animal Kingdom, The only Attraction i went on at Animal Kingdom , was the Kilimanjaro Safaris , the ride vehicle is a very large truck that takes you through what pretends to be an African landscape, I Went there in the morning then went back to the All Star Music Resort at 12:00 to Wait for My Best Friend and his Wife, and to also Get some rest,i did allot of walking and more Walking was to come. On the 25th ,after I Went to The Magic Kingdom and Animal Kingdom , My Friends,They Met me At The All Star Music Resort around 3:00 pm,and They Decided to Start at Epcot the First night Since it was getting late,I Had told Them That at night I Liked Going to Epcot Center,To Walk around the Countries and watch the Fire work show Illuminations,and they both Loved it. My Friends Rented a Car , and Since They were meeting Me At the Disney All Star Music Resort , They were Told By A Disney Security Gaurd , at the Gate near the All Star Resorts , that Since I Was Staying at The All Star Music Resort,They Were Considered My Guest,so They could Park there Car at the Parking lot , and Take The Disney Bus Transportation Like I could. It all Depends on Your Travel Plans,a Few Times I Never Have,If You are Staying Outside of Disney For example International Drive,You Might do Fine without renting a Car, or you might want to,My Friends were on Irlo Bronson highway,I found Staying At Disney Without Renting a Car just fine,If Thats all you are going to do,is All Disney Theme parks and all. on the 26th we went to Disney's MGM Studios , That was a Fun Day , We went on all the Attractions exept for one and it was becouse they were down it was the Areo Smith Rock "n" Roll Roller Coaster Ride,while i was alone alot of the shows i didnt see , other than the Parade Disney was Starting there 100th Birthday Celebration , that was Fantastic , I saved the Shows for when my Friends were there,My Friend had asked me the night before , if i saw the Fantasmic Show , that was something we will never forget,that show was great,i said no ,he said good,i told him i saved alot of that for them,we also saw the Indiana Jones epic stunt Spectacular Show,and a Hunchback of Notra Dame: A Musical Adventure. When i Was With My Friends At MGM Studios We found a Fun Place for Lunch,'50's Prime Time Cafe The concept is intriguing:Build a restaurant based on a 1950's time warp/sitcom psychodrama.the atmosphere delivers with homey 1950s kitchens,werein black and white tv sets show clips from such classics as My Little Margie and Topper.The servers add to the fun,greeting diners with lines like "hi sis,ill go tell mom your home,when we were there it was keep your elbows off the table,and brothers acting up again,and my friends wife said your brother was in your area again and the waitress repleyed oh ya thats the weird one,they may threaten to withhold your desert if you dont eat all your food,This Place is a Definate Must If You Go to Disneys MGM It was the 26th of september 2001,and today we still talk about it. The 27th My Friend's Wanted to Go To Universal Studios , a Non Disney Theme Park, although after we Went to Planet Hollywood , and we also went to Disney's Pleasure Island,and went to 8Trax a Disco Club and saw a Comedy Act there at the Comedy Warehouse, all located in Downtown Disney. Planet Hollywood is a Moderate Restaruant very Much Like The Hard Rock Cafe But Filled With Holly Wood Memorabilia with a planetarium-like ceiling and Peter O'tooles Lawrence of Arabia duds food at Planet Holly Wood Include: wings,pot stickers,sandwiches,big burgers,ribs,fajitas,pizzas,pasta,and steaks.lines can get long during speacial events and in peak season. On the 28th , When they First arived ,on our way to Epcot Center, They asked my opinion What Park would be Best to Save for Last,and i suggested The Magic Kingdom , since they had to leave around 3:00pm from There that day , We took the ferrie to the Magic Kingdom , From the Parking Lot,and the Monorail Back to the parking lot , we managed to go on just about everything , some attractions were closed,this plan worked well for us ,I Took the Monorail Back to the Park after seeing them off, I had the rest of the night since i was leaving at 7:00am the next morning. At The Magic Kingdom We Had Lunch at the Cosmic Ray's Starlight cafe' AMERICAN Inexpensive The Food at the Cosmic Ray's Starlight Cafe' include chicken,whole or half rotisserie,dark meat,white meat,fried or grilled. Cosmic Ray's Starlight Cafe' main street 407/939-3463 or 407/824-4321 $5-$16 open Daily 11am to park closing. Since My Friends Were Leaving,They Needed To Drive there Car to The Magic Kingdom Parking lot ,Since I Was Staying at the Disney All Star They Got to Park For Free,We had Took the Disney Bus Transportation up untill now. I would Get My Airline Tickets Different,I got My Ticket's Through Priceline.com,my first time, and found you can not choose your airline arival and departure times,there for my arivial times were on the 22nd 11:57pm and departure on the 29th 7:00am,I Would Want to Choose Better Times,so I would Go through a Travel Agent , The Walt Disney Company or Airline. 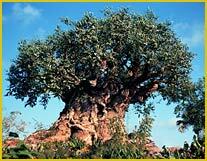 I would Spend More Time To see Animal Kingdom,I Did not get to see Much of that park,other than the Animal Kingdom's Kilimanjaro Safaris ride,I Didnt Have a Chance to go to Typhoon Lagoon either,Its Very Difficult at Walt Disney World To See Every Thing,no matter How You Try To See Everything. 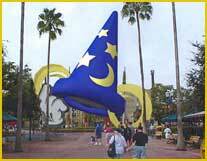 I would Stay at The All Star Resort Music Movies or Sports,This was my First time,Staying At A Disney Resort. It all Depends on Your Travel Plans,I would Get the Ultamite Park Hopper again,Number of Days Staying Has Alot to do with Deciding Tickets to get,only two times i Got The Park Hopper Tickets,other than 2 time's when i was Younger I only Went to Epcot in 1982 with my Dad and MGM Studios with my Dad Mom And Youngest Brother August of 1991,That Was my First time At Epcot Center and MGM Studios. Walt Disney World 2005 Unfortunatly I Won't Be Able to Go This Time,Although My Best Friend and His Wife and Kids Are,They Will Be Going Back Again sometime i Was told , So Maybe it Could Work Out that i Could Meet them Like i Did Once, I Found Out there Plans Too Late ,And The Week They Chose Febuary School Vacation, Everything Was Booked,They Have a Time Share, But I Plan To Go Again My self Soon, or Will Go When They Go Again, In The Future,I Am Glad We Got to Go When We Did,It Is a Memorable time We Still Talk About Today ,Hopefully We Can Repeat it again someday,if Not i will go myself,there kids have never been ,They Will Have a Great time,I Am Sure. My Best Friend And His Family Had a Great Time,He Called me while They Were There,and I Called Once,It Was Packed During Febuary School Vacation, But they Planed Out Everything Well,His Call Was A Nice Suprise,I Didnt Expect it. The Link I found is Below. Transportation A Popular Transportation Service is Mears Transportation Group 407/423-5566 , I Had Transportation From another service Called Transtar Transportation 800/543-6681 . Other Walt Disney World Vacations i took, on my own ,and with my Family, and also My Brothers 50th Donald Ducks Birthday Celebration Vacation to The Magic Kingdom. "Lilo & Stitch's Island of Adventures" Family entertainment reaches a cosmic new level with this ever-changing island adventure that you don't just watch, you play! Hear country and bluegrass stars sing toe-tappin' versions of your Disney favorites! Disney's Blast is full of cool games and activities with all your favorite characters. 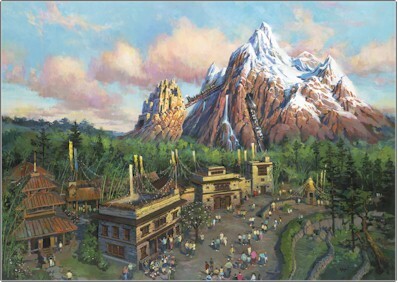 Expedition Everest,Legend of the Forbidden Mountain,opened in 2006 in the Asia section of Disney's Animal Kingdom. Click On The Link Above To See The Laughingplace.com News, Commentary, Reviews, Discussion. ~*Never*Grow*Up*~ A Peter Pan fan site! 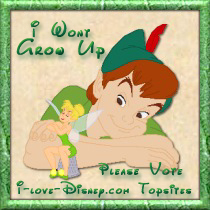 Click The Link Above To Enter The ~*Never*Grow*Up*~ A Peter Pan fan site! site is owned by wayne. Vote for me in Magic Of Disney Top Sites! On Monday November 10th My Site Was Awarded a Toonriffic Site Award From Cartoon Wonders The Name of the Site Was Called Cartoon Wonder's. February 14th February 2004, the Cartoon Wonders closed. As Of Monday May 24th 2004, I Have Discontinued With Fantasy Fights,Although I Have Discontinued , I Will Leave The Vote Icon , Please Visit Some Of The Sites Listed At There Page Or Vote,It Is A Fun Site To Visit Or Join,I Have Been Welcomed Back Any Time , Until Then I Will Continue To Promote Fantasy Fights On My Disney Fan Site , Thank You For All The Votes While My Disney Fan Site Was Listed. On Friday August 22nd My Site Was Awarded a Excellent Site award From http://webcompetition.net/disney/ The Name of the Site Is Called The Magic Of Disney .